PDA Footballs Personal Football Coaching brings Academy Level coaching to the community. Whether you are an aspiring Academy Footballer, newcomer to the game or someone who just wants to build up their confidence, PDA Football’s Personal football Training in Essex will give you the unique opportunity to be trained by a football coach from a Premier League Football Club. Our 1 on 1 football specific personal coaching is designed to focus on the areas that a youth player needs to succeed in the modern game. PDA Football will help you improve your technique, flexibility, speed, agility, power with and without the ball. Players can choose to train regularly or have a one off session where we can design a training program for them. If you need a private football coach in Essex or the South East, PDA Football, Personal Football Coaching is the answer. PDA Footballs Personal Football Training will give Players the opportunity to experience the training that players get at one of the best Academy’s in the country. Our 1on1 football specific personal training is designed to focus on the areas that a youth player needs to succeed in the modern game. PDA Football will help you improve your technique, flexibility, speed, agility, power with and without the ball. Players with ambitions of being scouted can get an honest evaluation of their ability, they will also get a training program which gives them the best opportunity to fulfil their ambition of playing for a professional football club. PDA Football has close links to Premiership Clubs and players attending 1on1 football coaching sessions identified by PDA Coaches have gone on to trial at Premiership Clubs and some have gone on to sign with Academies at Premiership Clubs. We are committed to player development and assisting youth players fulfilling their potential. Working with a personal football coach from PDA Football will give you access to a methodology created at the very highest echelons of the game. To find out more visit our Aspiring Academy Players page to find out more. PDA Footballs Personal 121 Football Coaching sessions are ideal for players of any age who are new to the game.Our 1on1 soccer coaching sessions can help players develop all the necessary skills and techniques to make them feel confident about going out and playing football. Our 1on1 football coaches are the most experienced individual technical coaches in the country who have vast experience of working with newcomers to the game of all ages.PDA Footballs 121 program has been developed over 10 years and builds each technique individually like building blocks so that the player can then take these skills into games. Visit our New to the game and building confidence page. Sometimes players just need a little confidence boost to help their game. We can help players regain or boost their confidence levels by working on their technique 1on1 and giving them the chance to try things in a positive environment where making mistakes are ok. PDA Football Personal Football Coaching sessions are an ideal opportunity to help build a players morale and make their experience on the pitch much more positive. Improving a players all round technique will help boost a players confidence, a confidence the player can then take into game situations. Personal Football coaching sessions can take place in local parks, your garden or we also have links with 5 a side flood lit all weather facilities for the winter training. We provide all the equipment and inspiration. PDA Football personal coaching is an ideal birthday gift idea, giving a player the opportunity to get Academy level training on a 1 to 1 basis. 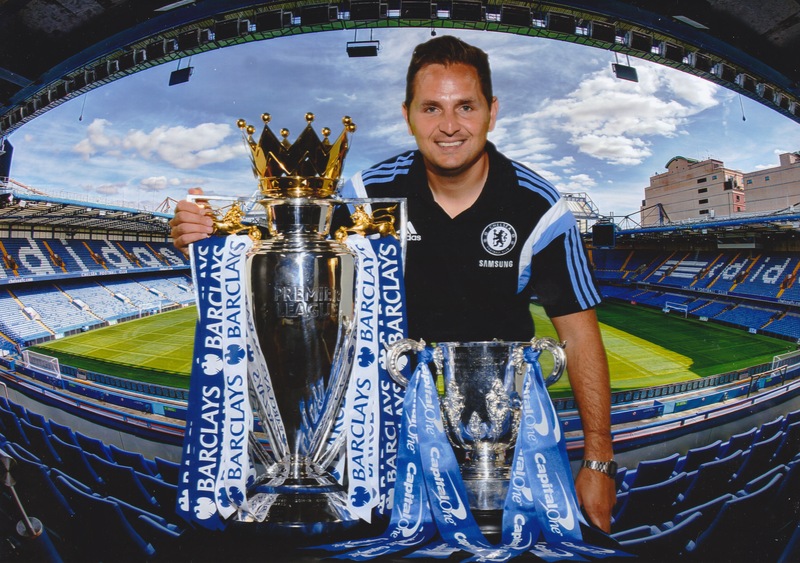 Saul has over 10 years experience of working in Premier League Academy Football for Chelsea FC and Tottenham Hotspur FC and 14 years as 1on1 Football Coach. Find out more on our about us page. Marcus McGuane signs for F.C. Barcelona!